There are multiple options for financially donating to St. George's - cash, check, credit card, debit card, or directly from your checking account. You can also donate indirectly through using AmazonSmile or your recycable cans and bottles. Request envelopes for your cash or check offering. Donations will be recorded for pledges and tax reporting. Give online! You can give using a credit card / debit card or directly from your checking account. Request envelopes for your cash or check offering. Donations will be recorded for pledges and tax reporting.See our webpage on online giving. One method to indirectly donate to St. George's is to use AmazonSmile. AmazonSmile is a website operated by Amazon with the same products, prices, and shopping features as Amazon.com. The difference is that when you shop on AmazonSmile, the AmazonSmile Foundation will donate 0.5% of the purchase price of eligible products to the charitable organization of your choice. Purchases don’t count when made through your app, so be sure to shop through the URL smile.Amazon.com! Select a new charitable organization to support. Search for St. George's Episcopal Church. There are quite a few! You will need to scroll down to find the one in Clifton Park NY. 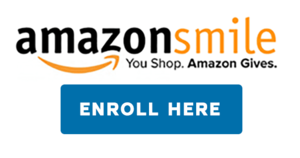 Not enrolled in AmazonSmile yet? It's easy — just click below to enroll. Another method to indirectly donate to St. George's is to recycle your cans and bottles with Clifton Park Bottle and Can Return - located at 1208 NY-146, Clifton Park. Mention to the counter person "St. George Recycling" when you return your cans and bottles. You may ask for a receipt showing your donation amounts for your personal tax purposes. This will also document that your contribution is credited to St. George's.